National Concept Location Scarcity > This is one of the Last Sites Available on what is know as the Miracle Mile. 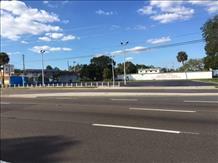 This stretch of Bay Pines Blvd is less than a mile long and contains many of the Major National Concepts. This Blvd is Alternate US HWY 19, which is the Gateway West to the Beaches and the Gateway East to St Petersburg, boasting 55,000 vehicles per day. The nationals include the new Walmart, Wawa, Dunkin Donuts, Starbucks, Texas Road House, Jimmy John's, AT&T, Supercuts, Village Inn and the new Holiday Inn Express. Additionally, the Bay Pines VA Hospital is less than 100 ft from the Site, being the 4th largest VA Facility in the country. Everyday, there is over 3,800 VA employees driving by this Site "hungry". This Address has the potential to be a up scale strip center, small box site, car wash site, convenience store, plus any nationals missing from the Miracle Mile. 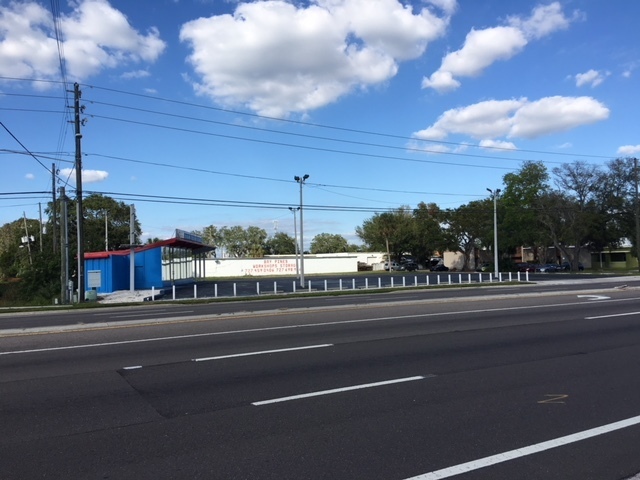 Location Description: The Site is located on Bay Pines Blvd just west of the major lighted intersection of 95th Street at 9565 Bay Pines Blvd. This corridor is Alternate US Hwy 19, which is the main highway that connects St Petersburg with all the Beaches, Seminole, Largo and Clearwater.